Kids in the Spotlight (KITS) is an evidence-based 5-day performing arts retreat experience that facilitates phenomenal breakthroughs for children, youth, and their families. 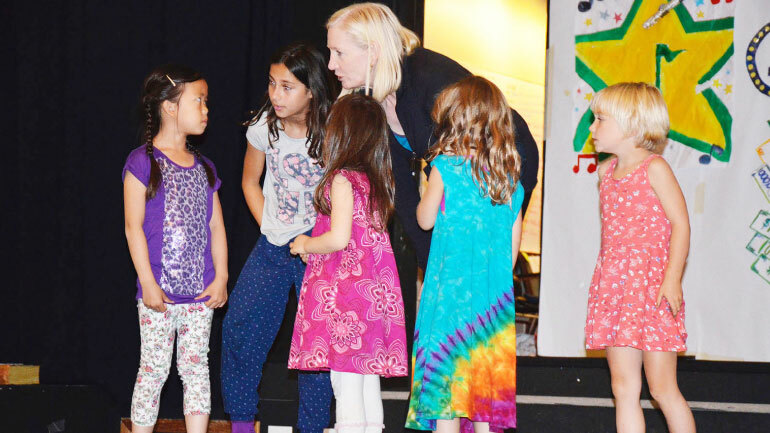 Created and run by counselor and Developmental Psychology MA Denise Goldbeck, KITS uses the performing arts as a vehicle for awe-inspiring development. Over the course of five unforgettable days, children and youth of all ages create and perform in a musical production. Along the way, they learn to communicate, respect themselves and others, express themselves confidently, overcome challenges, and heal from difficult experiences. By the end, each child has taken a fun, inspiring, and transformative journey.